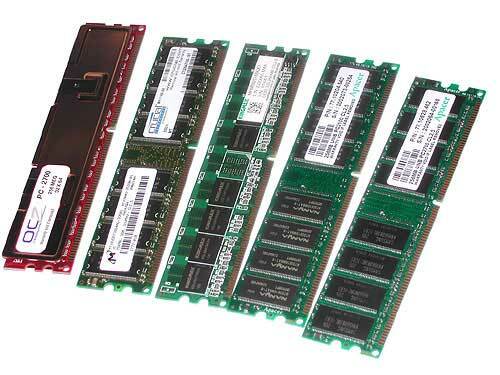 What is DDR SDRAM Memory? instructions can be passed to the processor. DDR memory provides roughly a 15% boost in performance compared to regular SDRAM. With DDR memory now in the affordable price range, and motherboard manufacturers phasing out SDRAM on nearly every new board, it looks like DDR is definitely here to stay. Even corporate giant Intel dumped the once-all-mighty RAMBUS, and opted for integration of DDR support into their chipsets and motherboards, only to join forces and rise to power with the P4. Memory manufacturers are doing a good job of producing high-quality RAM for demanding systems and the ever-changing industry. If you are not sure on which DDR SDRAM Memory to select, please use our memory scanner to find the exact ram or contact our Live Support for help.